The 485 Harrison Lofts are centrally located in the heart of South End’s vibrant SoWa district, full of historic qualities and modern amenities. Originally constructed in 1914, this building served as a large warehouse for many years. In 2003, the property was converted to 41 unique loft-style condominiums. Famed for its’ unique stainless steel doors, throughout the building’s lobby and residences, there are remnants of this buildings prominent roots. Each of the 41 residences were originally delivered by the developer as blank canvases. Throughout the years, each unit has been built out differently with creative finishes and floor plans. Elevators provide direct access to lighted garage parking and a grand common roof deck with striking views of the Back Bay and Financial District. This boutique building’s unique residences offer open floor plans, large windows and exposed duct work, giving its residents true loft-style homes. 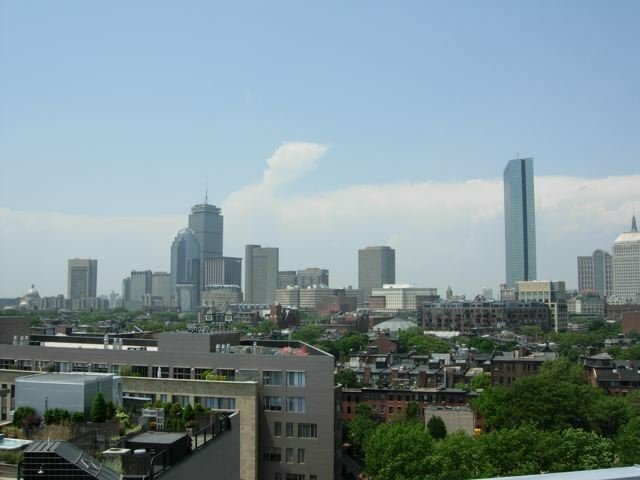 Located in SoWa, the 485 Harrison Lofts are steps from the best the City of Boston has to offer. Just a few short blocks from Restaurant Row, public transit and Peter’ Park, this building offers a sense of community in a neighborhood filled with art, music and culture.